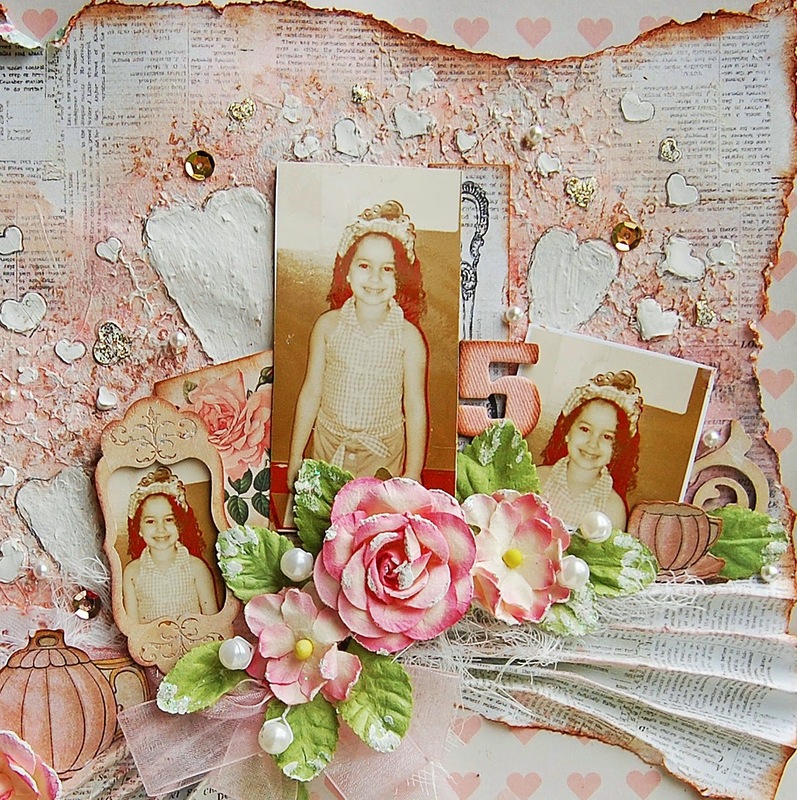 Treasuring Memories: My Creative Scrapbook October Kit Reveal and Birthday Bash Blog Hop! 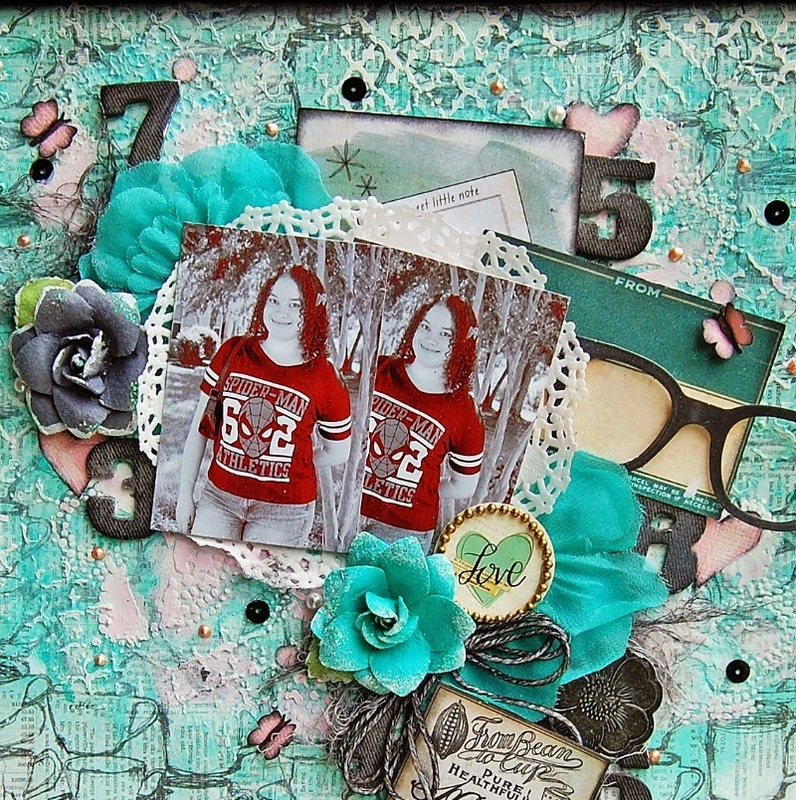 My Creative Scrapbook October Kit Reveal and Birthday Bash Blog Hop! 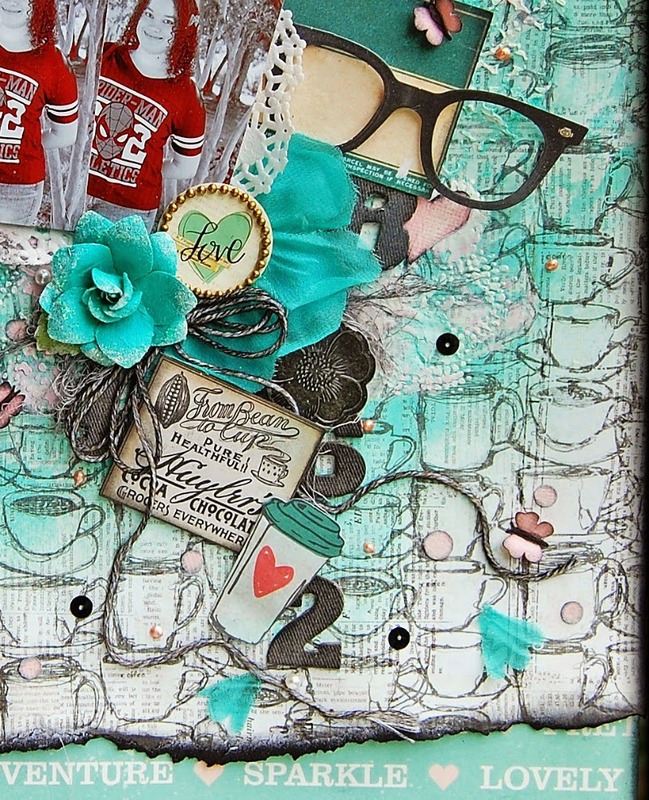 Welcome to the My Creative Scrapbook October Kit Reveal and Birthday Bash Blog Hop! 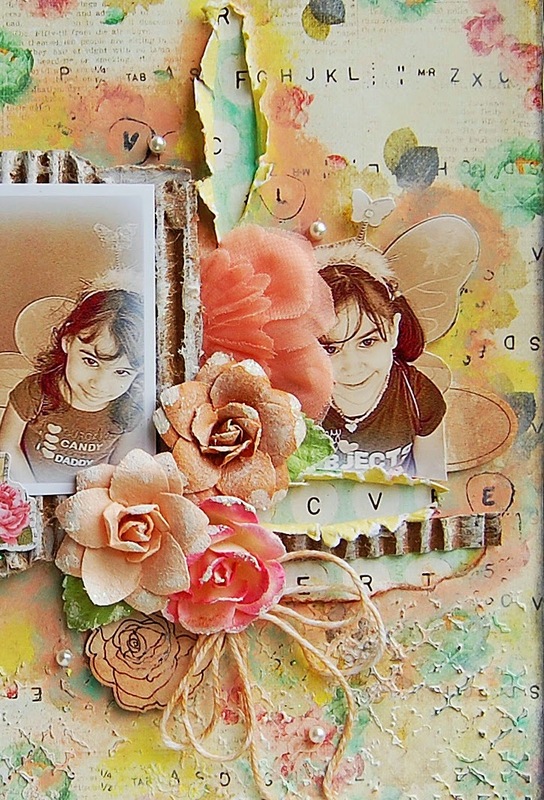 My Creative Scrapbook is celebrating its 9th year in business! Yea, it’s time to party! We’re celebrating all month long, and, believe us, you’ll want to party along with us. We have BIRTHDAY GIFTS, lots of them, to give to YOU! We’re getting the party started with a blog hop filled with birthday gifts! Do you want to know what you could win? This kit is filled with beautiful Echo Park and Carta Bella goodies (and more!) that are just perfect for your Fall/Autumn projects. We know you all LOVE Echo Park and Carta Bella as much as we do. So, we are beyond thrilled to have Echo Park and Carta Bella partying along with us! Yes! They have been super generous to provide not just one, not just two, but THREE beautiful gifts to give to YOU! Do Echo Park and Carta Bella know how to party or what?! 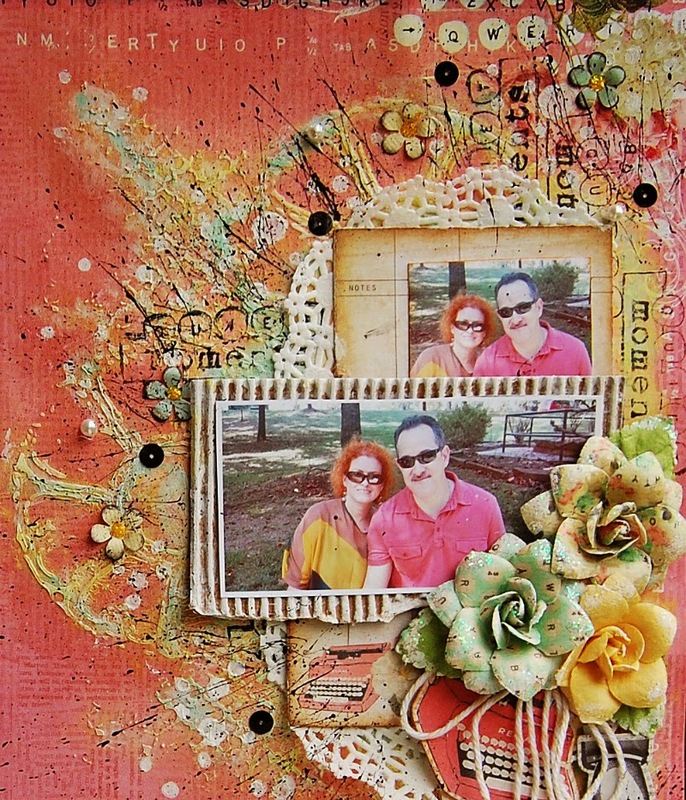 Complete our blog hop. 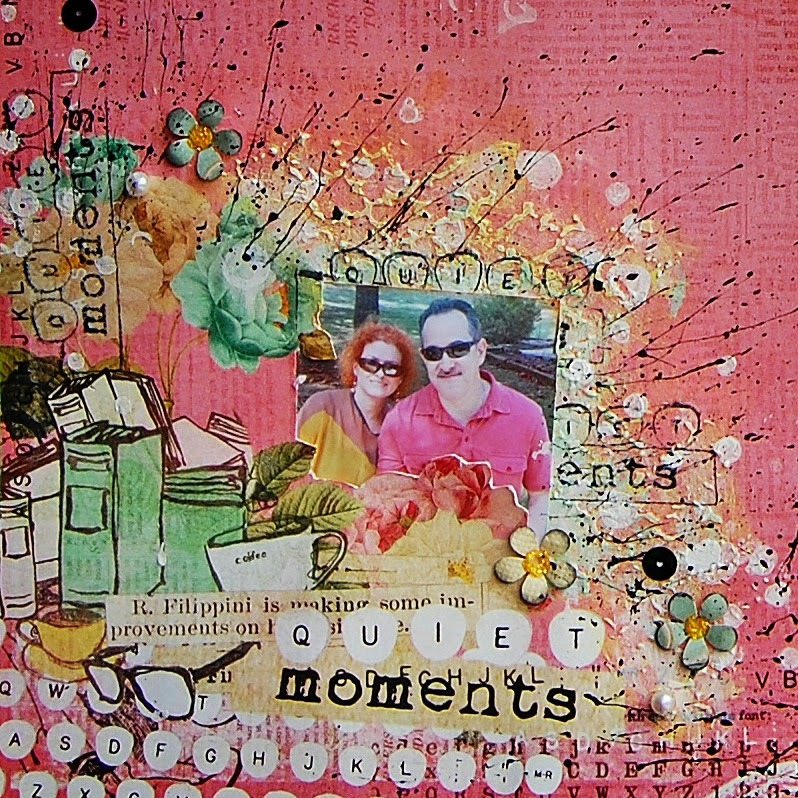 It begins on the My Creative Scrapbook blog and takes you on an inspiration-filled journey through several MCS designers' blogs. You won't want to miss any of it! You’ll find the links to the participating blogs at the end of this post. Be sure to leave some comment love on each blog... the gift winners will be drawn from the comments! 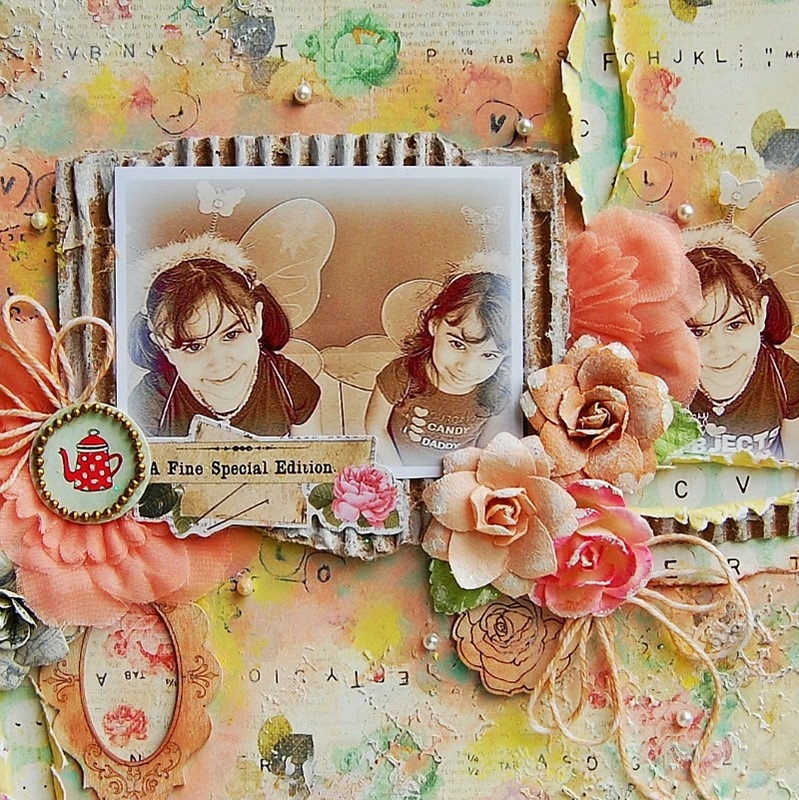 The beautiful Limited Edition kit is featuring the "Coffee Break collection, flowers, by Prima Marketing and Shimelle papers. I worked my background with the TWC stencil from the kit and added some wood pieces from Bo Bunny. This page is about my lovely nieces Sabrina and Camila. I started to work here with the TCW stencil and molding paste, then I applied different paints and mediums to create my background. 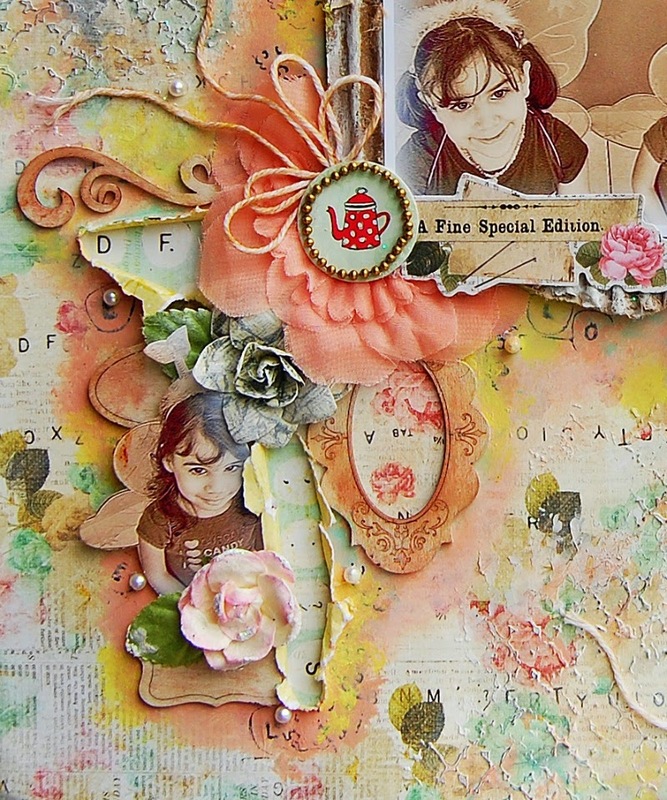 I used the Ephemera Coffee Break elements and combined with the pretty Prima flowers. I combined Coffee Break and Shimelle papers in this page, too. I made a video tutorial... start to finish of this page that you can see at the end of this post. Here's my daughter when she was 5 years old. 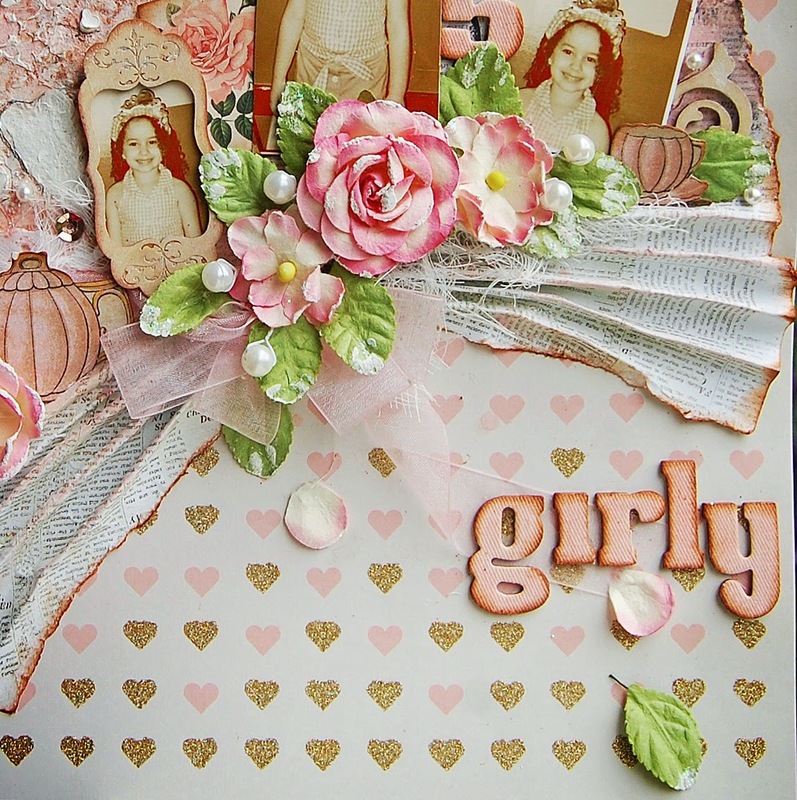 The blog hop ends on Wednesday, October 8, 2014 at 11:59 PM Eastern Time. 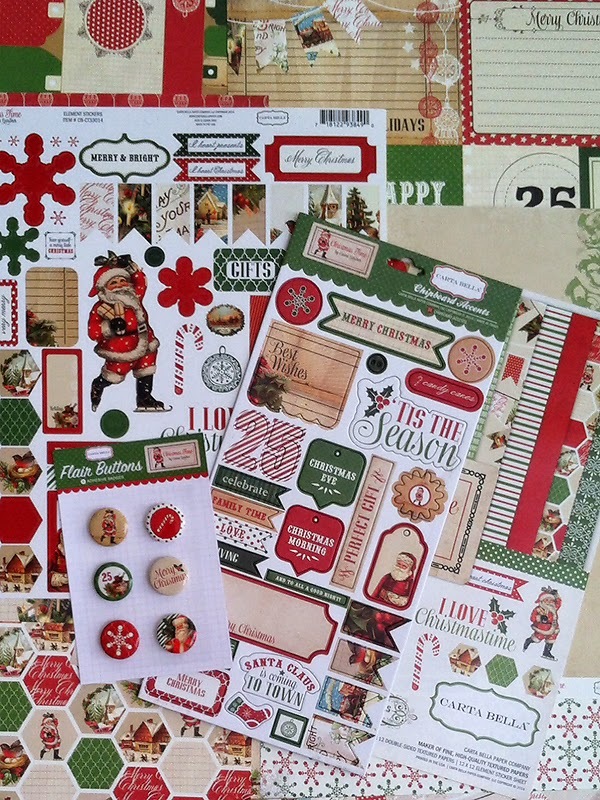 Winners will be announced on the My Creative Scrapbook blog on Monday, October 13th. Oh my, your lay-outs all look amazing! 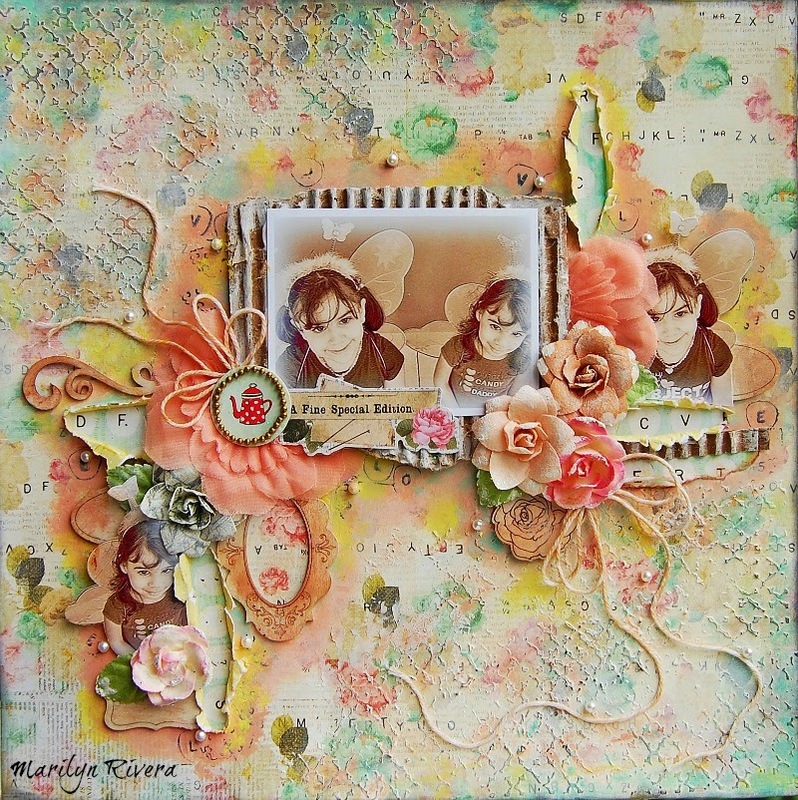 I just love the fact that you have managed to combine colourful and vintage! Sooooooo gorgeous! I loveeeeeee the colors and the flowers!!!!! wow. Your work is fabulous....and this kit club looks amazing! Awesome video tutorial. I always enjoy how your creative mind works. I tried the paper folding one time and it just didn't look like yours at all! lol!! A true talent. Ummmm WOW, Absolutely stunning, very detailed, And the pictures are priceless. Your layouts are absolutely BEAUTIFUL! I LOVE all the techniques you used! Your layouts are a work of art!! Beautiful!! Absolutely gorgeous pages, Marilyn! You're amazing! Very pretty layouts! Great use of texture. I love coffee break, beautiful layouts. Lovely collections in the giveaway, thank you for your generosity. WOW!! Stunning & Beautiful!! You did an AWESOME job! WOW!! You amaze me with your style every single month Marilyn! I LOVE your work! 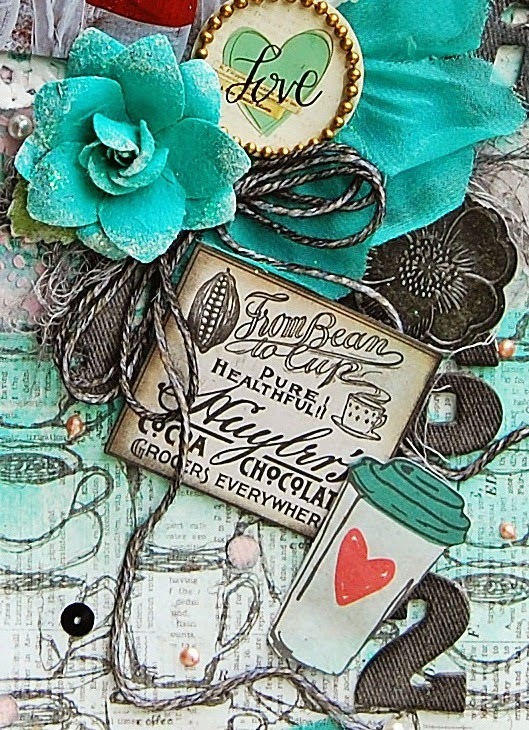 Gorgeous layouts, I love that coffee cup paper, love your flowers too. 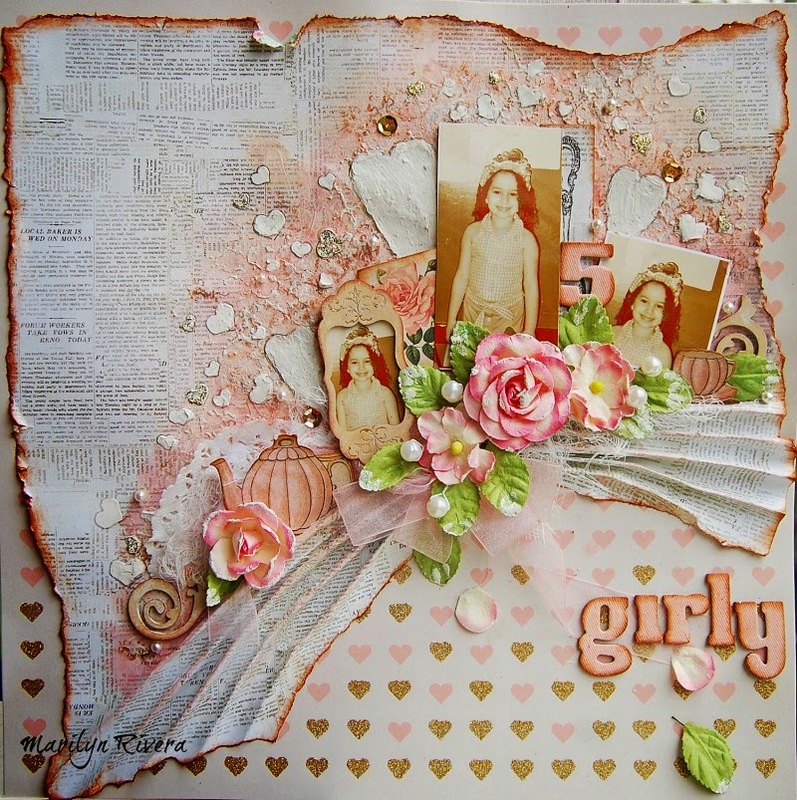 Love, love, love what you created with the Kit! I will be back later to watch the video! Have a wonderful afternoon! Wow, your layouts are all so gorgeous! I love all the texturing. Thanks for the inspiration! wow!!! your style is stunning!!! JUST LOVE your pages!!! as always your creations are absolutely stunning - your backgrounds are to die for - always an inspiration to me! Gorgeous work. I am your Biggest fan. You always rock the kits each Month.. 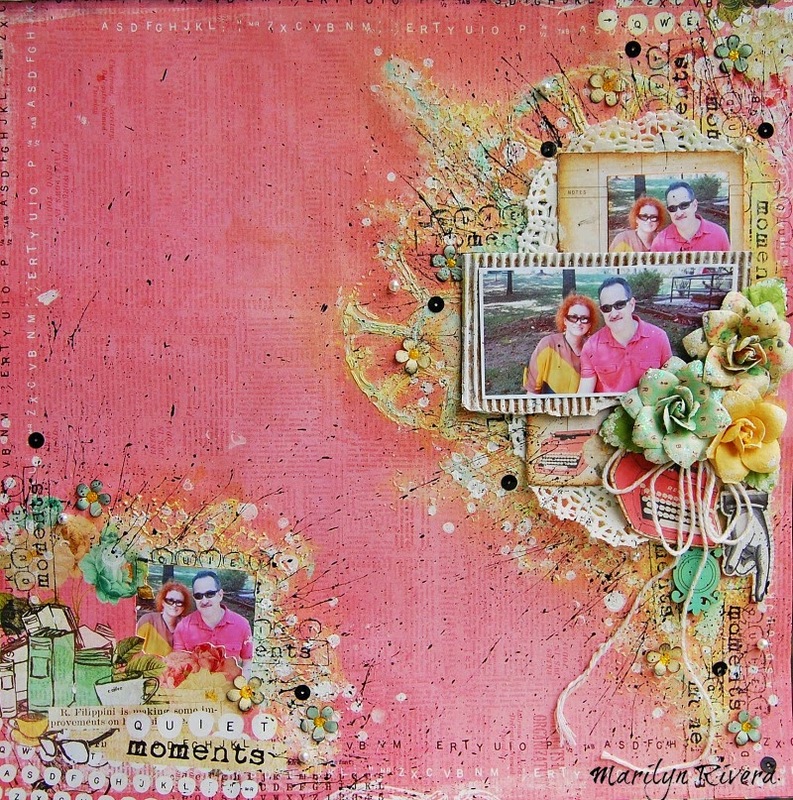 Wish I could be closer and we could scrap together..
Wow - I am in awe of your mixed media skills! Your projects are beautiful. Very unique way to use the colors in the kits. Beautiful colors on these pages! I love the photos, too! Thanks so much for sharing! Your layouts are very pretty. Wow! Your pages are fabulous!! Oh wow! Every one of your LOs is spectacular! Breathless here...Your attention to detail is amazing. Your work is stunning, absolutely gorgeous! 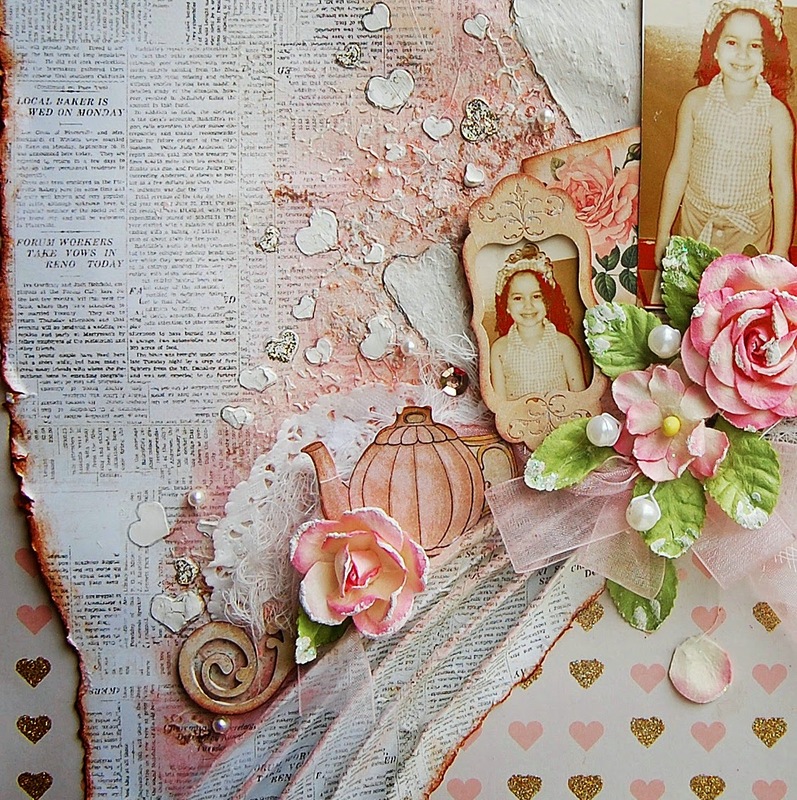 love the pink page, it's gorgeous!! Wow, your style is amazing! Each layout is a piece of art! Your layouts are so gorgeous, with so many lovely details! Wow! Those layouts are incredible!! Love, love, love your layouts. Looking forward to seeing more of your creative work! Wow, what layouts you do, your backgrounds and everything. I love the blue one very much! Thanks for seeing your page, I will see more! The colors in these kits is fantastic! Great Hop. Thanks for the chance to win! The pages are amazing... The colors just make such an impact! Great job! Gorgeous layouts! what a fun blog hop! thanks for the chances to win! wooo love your LO are wonderful colors all the details! Thank you. Wow, you are truly an artist! Amazing work!! Your layouts are fabulous; you are amazing! 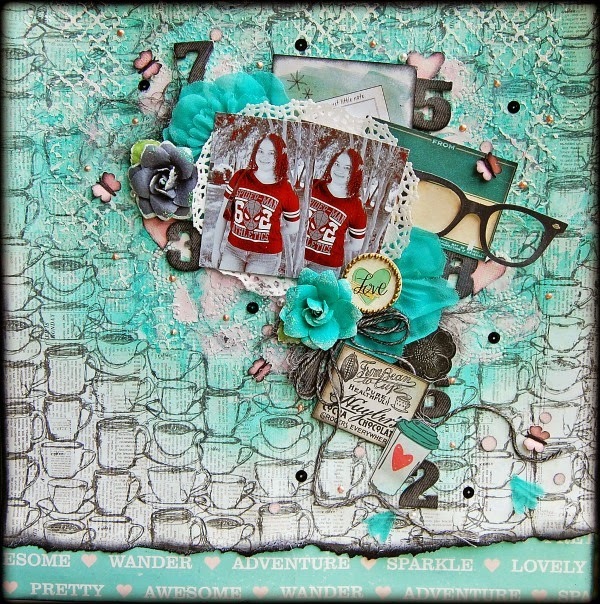 Stunning layouts - love your sense for pretty details! I've always loved your layouts, they are so artsy, and creative! These layouts are absolutely stunning!!!! Wow, amazing layouts! Beautiful work. Love the limited edition layouts! Your layouts are simply amazing! I love the texture on each page. Makes me want to experiment with all the mediums in my stash. Thanks. Marilyn eres una artista de los pies a la cabeza! Todos tus layouts son una preciosidad!!! Desde el primero hasta el último ! Que encima incluye tutorial!